Launched in May 2014, the Score for Unity (SFU) collection trails a similar path as our 2010 Hybrid collection. 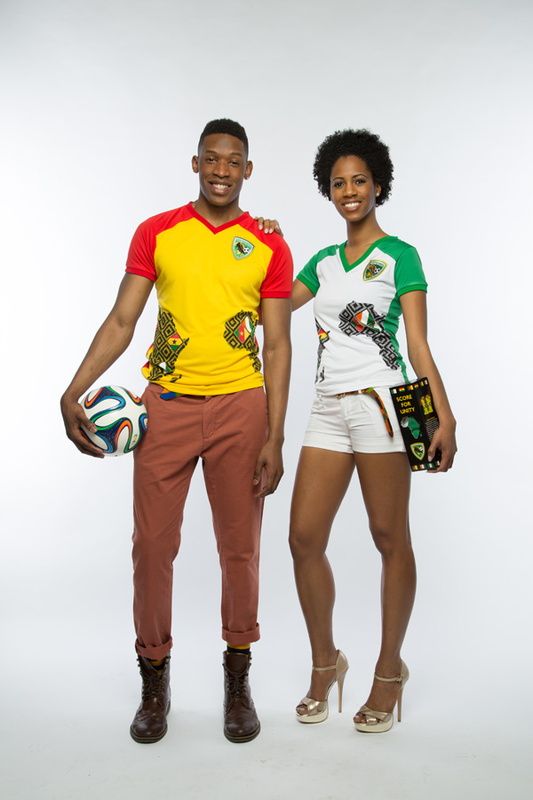 Receiving numerous media spotlight from likes of Entrepreneur Magazine, SFU features a continental driven fan gear for both men and women designed to promote Africa’s solidarity at the 20th edition World Soccer Championships held in Brazil. The research and development process for SFU started in late 2011 as part of a creative decision to design continental focused fan gears for all World Cup collections following our Hybrid collection campaign in 2010. Inspired by the African unity vision of Ghana’s first President, Osagyefo Dr. Kwame Nkrumah, the SFU concept began. A revolutionary project, the SFU collection gives a whole new meaning to the term, originality. 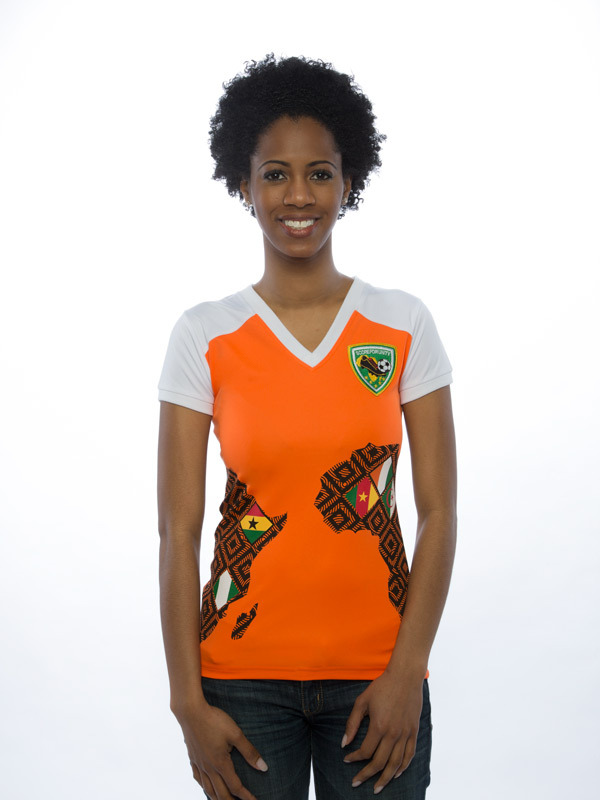 The design elements include: a badge, which serves as a pledge to promote Africa’s solidarity in addition to reinforcing an “all for one” concept illustrated through the kicking of a soccer ball. 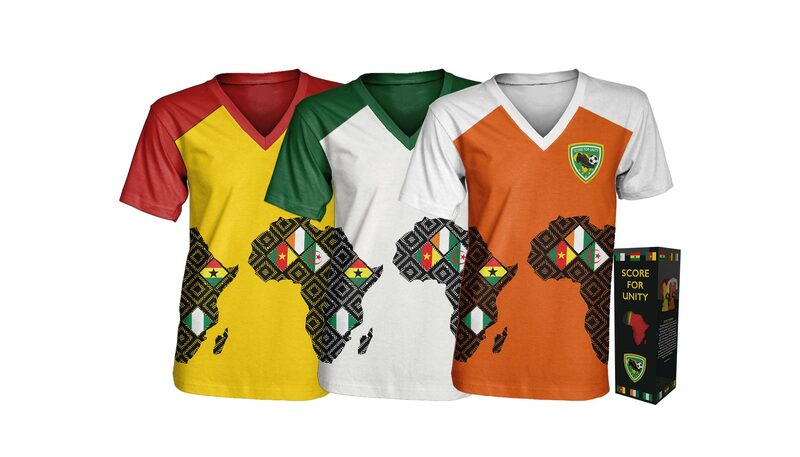 The front design shows a split of the African continent, which signifies that Africa’s cohesion cannot be achieved through an individual effort, but rather as a unit—when two people wearing SFU apparel stand next to each other, the African continent becomes visible in its entirety. 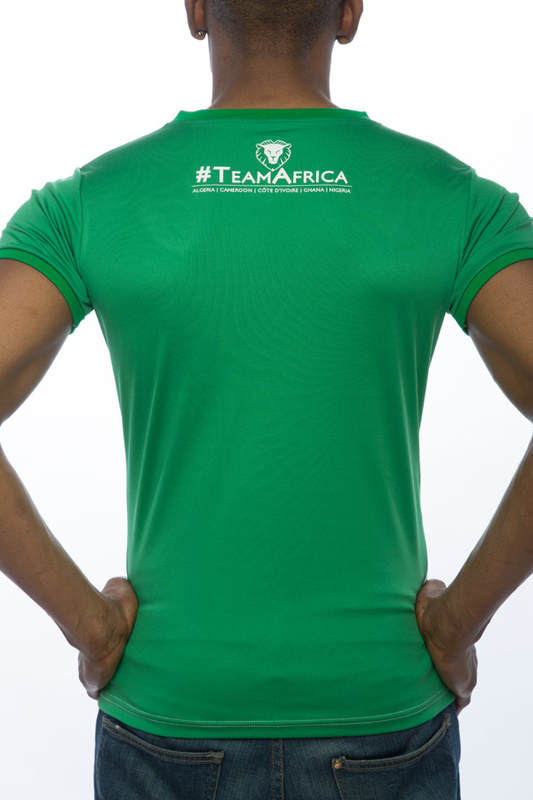 In the back of the shirt is Team Africa, a homage to the five African countries: Algeria, Cameroon, Cote D’Ivoire, Ghana and Nigeria, that represented the continent at the tournament. To reinforce our unity message, we entered a partnership with Congolese-born singer and songwriter, Rafiya to record a theme song titled Team Africa for the SFU collection. Each purchased SFU gear comes with a unique packaging box and download card for the collection’s theme song.